It doesn’t take much to brighten up a dreary backyard. If you’re looking to add a creative touch to your yard or garden but don’t want to spend days doing it, then check out these fabulous one-day backyard design projects. Take your pick from the aesthetically pleasing, yet simple ideas, including a brick fire pit, an easy-to-build day bed, concrete stone pathways, and a simple garden pond. 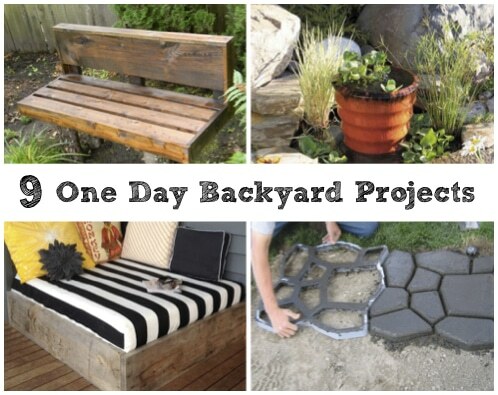 With these simple one-day backyard design projects, you will be on your way to creating an inviting and relaxing backyard and garden for everyone to enjoy.